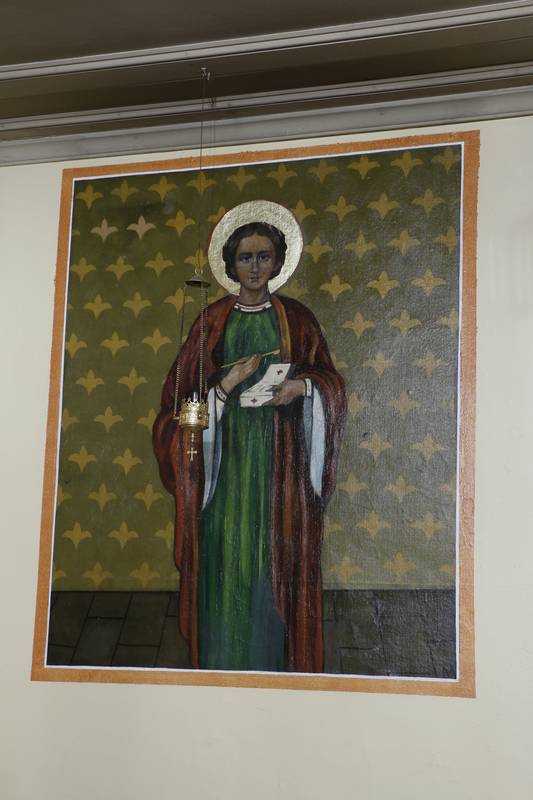 The Great Martyr and Healer Panteleimon was born in Nicomedia into the family of the illustrious pagan Eustorgius, and he was named Pantoleon. His mother St Euboula was a Christian. His father sent Pantoleon to a pagan school, after which the young man studied medicine at Nicomedia. The hieromartyrs Hermolaus, Hermippus and Hermocrates, survivors of the massacre of 20,000 Christians in the year 303, were living secretly in Nicomedia at that time. St Hermolaus frequently saw Pantoleon and instructed him on the Christian faith. One day the saint found a dead child on the street who had been bitten by a snake, which was still beside the child’s body. Pantoleon began to pray to the Lord Jesus Christ to revive the dead child and to destroy the venomous reptile. He firmly resolved that if his prayer were fulfilled, he would become a follower of Christ and receive Baptism. The child rose up alive, and the snake died before Pantoleon’s eyes. After this miracle, Pantoleon was baptized by St Hermolaus with the name Panteleimon (meaning “all-merciful”) and then dedicated his life to the suffering, the sick, the unfortunate and the needy. He treated all those who turned to him without charge, healing them in the name of Jesus Christ. The envious pagan doctors told the emperor about St Panteleimon. Maximian urged the saint to offer sacrifice to idols. St Panteleimon refused and confessed himself a Christian. The ferocious Maximian gave St Panteleimon over to fierce torture. Throughout the many tortures the martyr remained unhurt, and denounced the emperor. After enduring days of severe torture, the Great Martyr was beheaded.